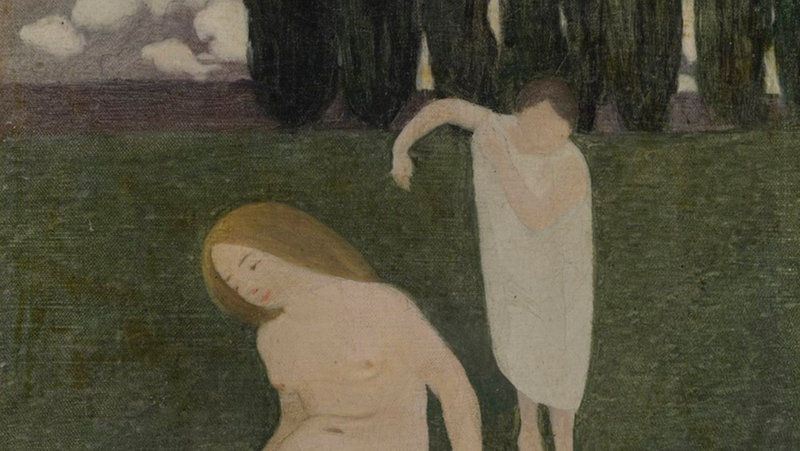 ‘Petites baigneuses’, an important artwork by Félix Vallotton, is the undisputed star lot of an upcoming auction. Privately preserved for more than five decades, the 1893 painting will be presented alongside major works by Foujita, Derain, Erró, and Francis Grüber. The Franco-Swiss artist Félix Vallotton was born in Lausanne, Switzerland in 1865 to a Protestant bourgeois family. In 1880, he made a name for himself in the Parisian avant-garde, gaining international recognition thanks to his woodcuts and sensational black-and-white illustrations. In 1893, the year of his creation of Petites baigneuses, Vallotton joined the Nabis (an avant-garde post-impressionist artistic movement on the fringes of academic painting) and became friends with Édouard Vuillard. Made a French national in 1900, two years later, in March 1902, Vallotton coordinated the surprising L'Assiette au beurre (an illustrated satirical magazine), for which he produced 23 printed lithographs. Vallotton left the group of Nabis in 1903, but remained very active in the Parisian art scene. He devoted himself to classical themes, which he translated in a very personal but realistic way, without embellishment or glorification. Often classified outside contemporary trends, his art is full of dark humor and sarcasm. 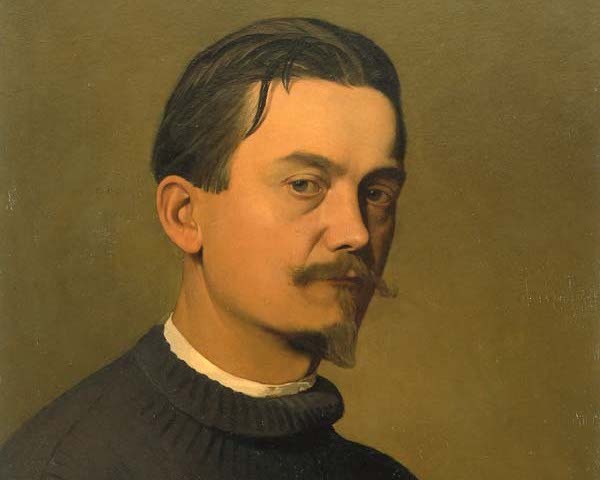 An indefatigable worker, upon his death he left behind 1,704 paintings, 237 engravings, hundreds of illustrations and magazines, and a novel entitled La Vie Meurtrière (The Murderous Life). 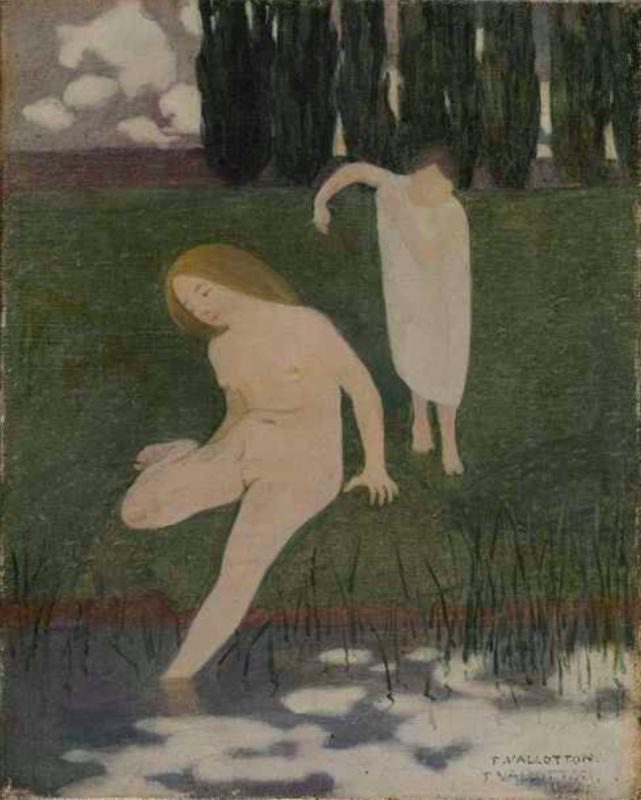 The theme of bathers, reproduced in the 1893 oil on canvas presented by French auction house Rossini in their upcoming sale on March 19, repeatedly inspired Vallotton, and it was during this same year that he presented Le bain au soir d'été at the Salon des Indépendants, which made a real sensation. The portraits of Vallotton's bathers contain scenes that are heavy with meaning, the drawing precise and stylized, without embellishment of the bodies. Rossini has the honor of listing a painting with this theme that was so dear to Vallotton, and which has not been presented to the public since 1967, during the exhibition Vallotton organised by the National Museum of Modern Art in Paris and the Palais Fine Arts Charleroi. The painting is estimated to fetch between $68,000-100,000. 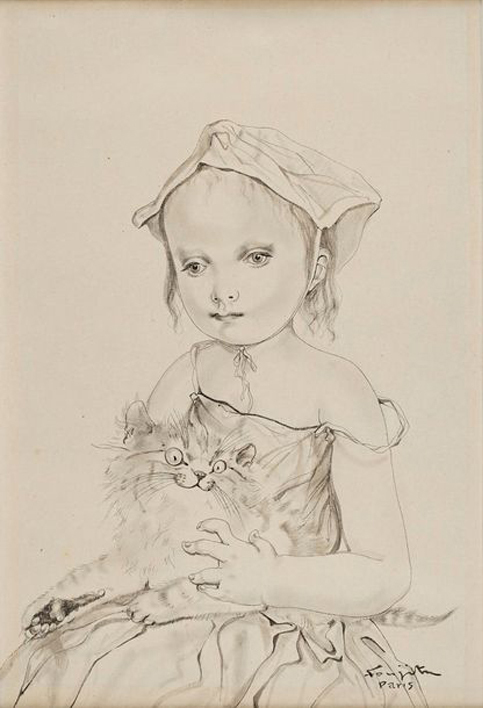 The rest of Rossini's sale is far from insignificant, as it includes several works by major artists of the 19th and 20th centuries, including Fillette au chat by Leonard Tsuguharu Foujita. This pen and ink drawing, executed in 1951, bears witness to the artist’s unique style situated on the border of East and West (he was a Japanese artist who worked in Paris). Through his work, Foujita reinstated a second Japonism, and his paintings of children and cats (a theme he loved dearly) have entered some of the largest art collections globally. Fillette au chat is presented in light of the recent Parisian exhibitions honoring the artist, including Foujita, peindre dans les années folles (Foujita, Painting in the Roaring Twenties) at the Museum Maillol (2018), and Foujita at the House of the Culture of Japan in Paris, which ends on March 16. The portrait discipline is also represented by Rossini in two works by André Derain and Francis Grüber. Considered one of the founders of Fauvism, the French painter Derain quickly moved towards realism with renewed classicism, where he expressed his strong taste for theatre and literature. 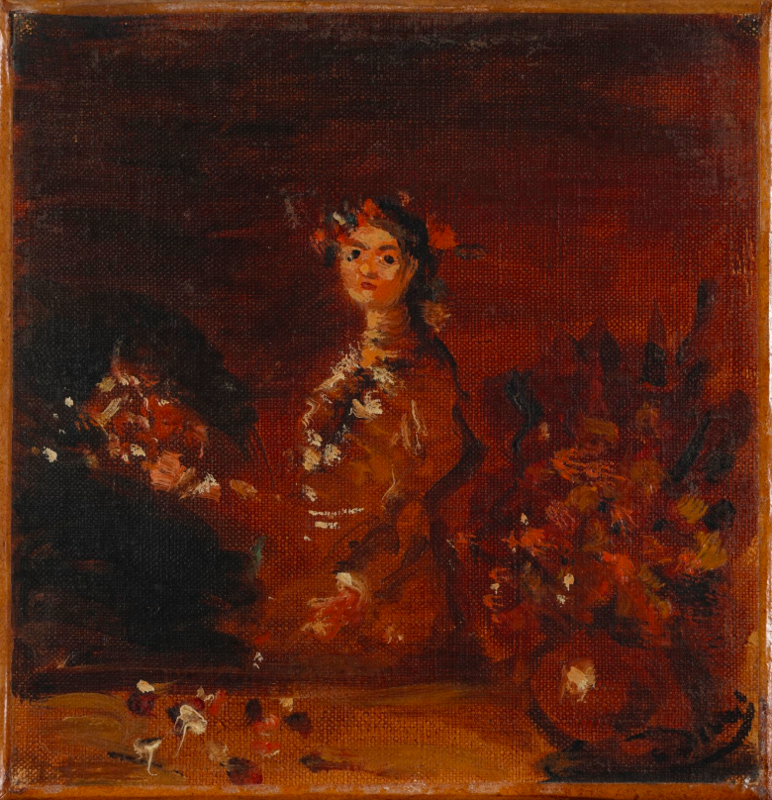 The work Femme au bouquet (Woman with Bouquet) was made during a pivotal period for Derain. In 1931, he enjoyed a major exhibition at the gallery of Paul Guillaume, and following the death of the latter, three years later, he decided to represent himself and sell his own works. 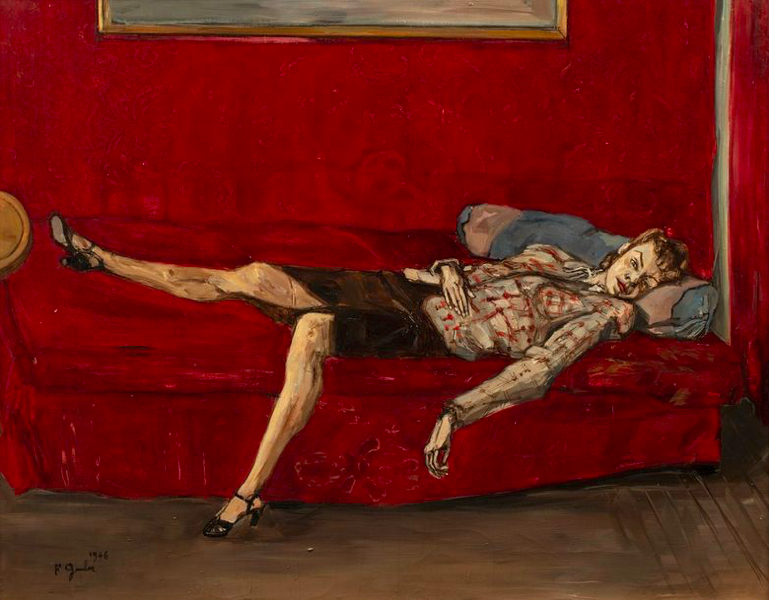 The portrait Woman on a Red Bed is painted in landscape format, a rather characteristic bias in the body of work of the expressionist artist Francis Grüber. This 1946 work has a relatively dark color palette that reinforces the dismal side of the scene. Grüber is one of the few representatives of the expressionist movement in France, and even if it is part of the pre-war painting, he abandoned the search for abstract art in favor of human figures with traits chiseled and rough. A corpus of seven works by the Icelandic artist Erró completes Rossini’s sale. With art located between several currents, such as pop art, hyperrealism and social realism, Erró sought to denounce the excesses of the consumer society by provoking the viewer. Settling in Paris in 1958, he rubbed shoulders with artists of the surrealist movement, and in the 1960s he established himself as the founder of Narrative Figuration in France. The work The Plumber’s Son, Target Practice series has been exhibited twice, in 2006 at the Valencia Institute of Modern Art, and in 2009 at the Museum of Louviers in Erró. A total of 269 lots of modern and contemporary art, including paintings, drawings, prints and sculptures, are to be found on March 19 at Rossini.